Situated at the meeting point between the science of genealogy and the history of the imaginary, the book focuses on the concept of the imaginary, as it is manifest in genealogies. When defining this concept, I have adopted Lucian Boia’s vision, according to which the imaginary is an independent reality, detached of whatever exists outside of our mental perception, a reality that has its own structures and dynamics, acting upon the outer world and, at the same time, being influenced by the latter. One of the permanent manifestations of the imaginary is the individual and collective need to place oneself in some sort of continuity, to define oneself as an element within a filiation chain. The genealogical imaginary is a subcategory of the imaginary referring to the origin, the history and the structure of various families and it comprises a wide range of genealogical myths: fictitious ancestors, whether divine or human, fabulous kinships, invented genealogies, descendancies which are impossible to certify with documents, erroneous interpretations of certain degrees of kinship, the imaginary transformation of data which can be attested by documents, real genealogies that have received unexpected interpretations and historiographic clichés grown on more or less attestable genealogies. The genealogical imaginary has produced effects on the inventors and the owners of the respective filiations, on those people they got in touch with and, eventually, on the social network of the epoch when these filiations functioned as “useful myths”. Invented genealogies may prove to be of interest both as a method to obtain or consolidate social prestige, but also as vehicle and consequence of the incipient process of modernization and occidentalization of the Romanian principalities. The first part of the book shows what the genealogical imaginary implies and it proposes an interdisciplinary analysis of the concept, discussing the theses of researchers such as Roland Mousnier (social stratification) or Pierre Bourdieu (symbolic capital). The second part is a short chronology of the genealogical imaginary, from ancient Egypt up to 20th century America, going through Homer’s epic poems, biblical or medieval genealogies. In order to dominate, sovereigns needed ancestors that should be as illustrious as possible, sometimes even of divine nature. On the other hand, aristocrats were also rarely satisfied with genealogies which were attestable in documents, even if they were more than honorable. They used to look for distant ancestors, shrouded in legends, or they hastened to adopt the “discoveries” of certain specialists in genealogies, specially hired to adjust the filiation of the commissioner. Access to memory, whether historical or mythological, was a privilege which conferred legitimacy. Once adopted by the peers, false or impossible to prove filiations came into force and thus became relevant. Self image and the way they were perceived by those around them, personality, ideas and ideals, types of sensitivity and of reaction, social presence and status were also modeled by the awareness of placement in the lineage of various ancestors. The verdict stipulating that certain genealogies are fake does not entitle us to ignore them, as long as they have played, for millennia, a major role in the creation of prestige. 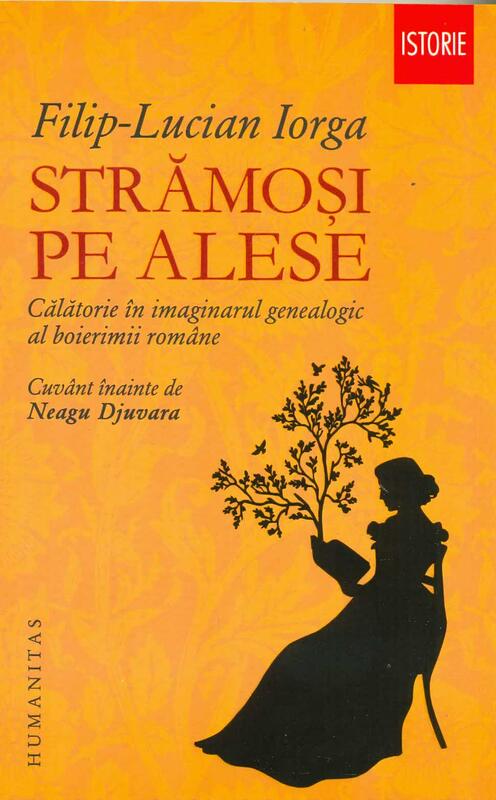 The third part deals with the avatars of the Romanian genealogical imaginary, from the genealogical mythologies of families reigning in Moldavia and Wallachia, to authors whose works became a rich source for the genealogical imaginary. In the Romanian principalities, the interest for genealogy in the Middle Ages was rather modest. Lineages were drawn up only for practical purposes, if they were needed for some trial related to estate ownership. But contacts with the kingdoms of Poland and Hungary will also stimulate the interest of several reigning families in the Romanian principalities for illustrious genealogies. The Corvin and Movilă families allegedly had ancestors in ancient Rome, Despot-Vodă claimed to descend from Hercules whereas the Cantemir family pretended to have Tatar princes among their ancestors. The Craiovescu, Brâncoveanu and Bibescu families take over the symbolic capital of the founding dynasty of Wallachia, the Basarabs, by means of alliances with women and adoption. The second half of the 18th century and the 19th century witness a huge diversity of genealogical inventions in Moldavia and Wallachia. Their multiplication can be put down to the increasingly developed contacts with the Western world, but also with Russia and to the process of modernization started by the Phanariot princes and enhanced during the whole course of the 19th century. The boyars’ self-consciousness and their need to resemble the Western aristocrats become all the more powerful. The birth of an entire series of imaginary genealogies is also due to the beginnings of genealogy as a science, tributary to Romantic historiography and to an incipient national ideology, which, in their turn, will need their own set of filiations impossible to attest with documents, but meant to confirm the theories of the Roman origin and of the continuity of Romanians. A minor boyar, Costandin Sion, writes, between 1840 and 1857, what appears to be rather a chronicle of his contemporaries than a documented record of boyar families. Nevertheless, the work is very useful because it accounts for the existence of a particular type of genealogical imaginary, which obstinately opposes family traditions by selecting the least creditable information, especially about the “new people”. The writing is a real “massacre” born out of grudge and targeted especially against the boyars of humble origin. Numerous genealogical mythologies can be found in a false Moldavian chronicle, Huru’s Chronicle (Izvodul lui Clănău) drawn up by the Sion family and ascribed to a fictitious author, Arbore, from the 3rd century AD. The first genealogical synthesis belongs to Octav-George Lecca, at the end of the 19th century. He actually remains to date as the only one who managed to carry out an attempt to collect in a book the genealogies of most of the boyar families in Moldavia and Wallachia. Even though, in terms of genealogical science, he did not go beyond the stage of a “well-meant, but inefficient amateur”, his works represent for the study of the genealogical imaginary a first-hand source, especially by their major deficiencies: historical inaccuracy, inventions and the uncritical use of family traditions. By means of Lecca’s book, we gain direct access to the faiths of some members of boyar families related to their own origins and hence, to their identity. Relying on Elena Siupiur’s research, I drew up a list of the young sons of Romanian boyars who studied in German universities during the 19th century. They added nobiliary particles to their names or changed the way their names were written so that they could emphasize abroad the fact that they belonged to the nobility of the Romanian principalities. Out of the comparison with Western aristocratic families there stems a legitimate frustration among the descendents of the illustrious Romanian families: the absence of nobiliary titles. That is why, apart from the authentic titles owned by some Romanian families, cases of “usurpation” of aristocratic titles equally appear. On many occasions, women brought within the family a symbolic capital which was richer than the men’s. Moreover, in the Romanian principalities, unlike the Western world, the transmission of names and family identity was often accomplished by means of women. The Romanian boyars managed successfully to carry out their own modernization, thus fully contributing to the modernization of the Romanian society as a whole. The boyars’ modernization was triggered by their wish to integrate themselves rapidly into the European aristocracy and to resemble as much as possible the Western aristocrats. Getting in touch with European aristocrats, the boyars invent illustrious ancestors and they build fanciful heraldry. They transform themselves and change the mentalities and the attitudes of a category that plays an emblematic role for the entire society. The fourth part provides a typology of the genealogical mythologies among the Romanian boyars. I have applied a convention in order to divide the families under discussion into “native” and “Phanariot”. There are few Romanian boyar families that are not allied to Phanariot families, and, eventually, these Greek families gradually become Romanian in all aspects, too. The native boyar families produce, under the influence of the incipient national ideology, genealogies that will connect them to ancient Roman families (the cases of the Grădişteanu, Jianu-Cesianu, Lecca families) or to country founders (the Costaki or Bălăceanu families). This trick ensures them a privileged position among the boyars, offering them political and social superiority over other families with less noble origins. This process also endorses the theory about the Romanians’ Latin origin and about the Romanians’ continuity in the regions north of the Danube. The second category of genealogical myths refers to the native families which, influenced by contacts with Phanariot Greeks, with Russian officers and Western aristocrats, invent illustrious “exotic” ancestors: Hungarian (the Beldiman and Sturdza families), Polish and Baltic (the Berindei and Macedonski families), French (the Balş family pretended to descend from the counts of Baux whereas the Lămotescu family found its nobiliary roots in an aristocrat of the La Motte lineage), Italian, Tatar (the Sion family) or Turkish. The goal was to obtain mundane and political legitimacy, especially in relationship with the Western aristocracy. The third category of genealogical mythologies refers to the Greek families in Phanar, which, in their turn, “discover” their ancestry among Byzantine aristocratic dynasties and families (the Cantacuzino, Paleologu, Lascaris families, etc.) or among Western noble families (the Cantacuzino considered themselves descendents of the Valois, and the Mavrogheni family claimed to originate from the Venetian doge Francesco Morosini). Motivated by the need for legitimacy within their own community, but also within their rapports with the Sultan and with Russia, the Phanariot families place themselves, with or without documentary grounding, in the lineage of the ancient Byzantine aristocracy. Their purpose was mundane and political legitimacy, especially in order to revive the dream of recreation of the Byzantine Empire. The last category includes the Levantine families that assert their ancestry from native dynasties. The Cantacuzino place themselves in the lineage of the Basarabs, and the Mavrocordat in the lineage of the Muşat. In all epochs, every human community is first of all legitimized by its origins. Whether we talk about tribes, nations, ideologies or families, the appeal to founding myths is universal and essential in the crystallization of identity. However, these origins are not an immutable fact. Although they are often prone to being disguised as inherited and unquestionable truths, origins are actually, to a great extent, a matter of option. The genealogical mythologies of the boyar families in Moldavia and Wallachia are not isolated cases, but can be easily integrated into a universal outlook on the genealogical imaginary; they are not rare (I have identified over 100 of such mythologies); neither are they mere curiosities meant to be exiled into a discredited anecdotic type of history. On the contrary, they represent a phenomenon which can help us define self-consciousness and social awareness among the Romanian boyars. The “falsity” of certain genealogical myths should not impede their study as manifestations of a specific imaginary, as “weapons” in the race for prestige, for the accumulation of symbolic capital and as instruments used to crystallize family identity. Genealogical mythologies, as part of a whole arsenal used by the boyars in both principalities who were eager to resemble western aristocrats, also become a ferment, all too often ignored, of the modernization of the entire society. Beyond “true” or “false” genealogies, family identity equally proves to be a mental fact. The ancestors invented or selected by people deserve our attention as much as those automatically certified by the documents indicating one’s civil status. Especially so when genealogical fiction generates patterns of behaviour, options and concrete actions which change biographies and consolidate or modify social relations.